Virginia-native Craig is our French Broad River Manager. 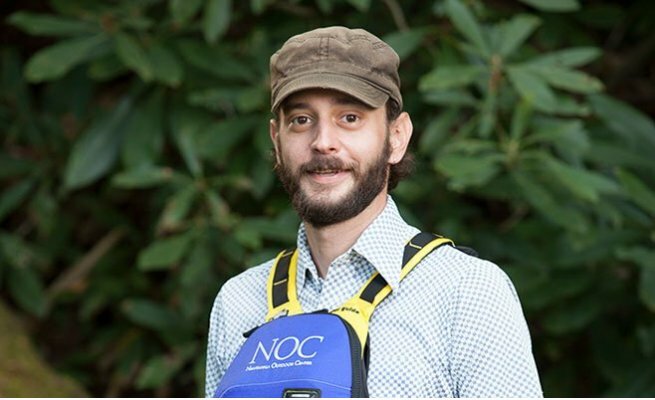 Since joining NOC 10 years ago Craig has checked-out to guide on 6 out of 7 NOC rivers: the Nantahala, French Broad, Pigeon, Nolichucky, Ocoee and Chattooga. He is excited about managing the river he learned to guide on, the French Broad. Craig, like many of our guides, loves NOC for the community: “these are the people I've relied on both on and off the river. They aren't just co-workers, but friends who I consider family.” Craig has combined his love for the outdoors and river knowledge to start the whitewater gear company Redneck Rafter. When he isn't working Craig can be found playing his guitar or spending time with his dog, Buddha.